Mon., Feb. 4, 2019, 8:25 a.m.
A GRIP ON SPORTS • It seems like no one liked the Super Bowl much. It reminded me of a couple of things: the NFL in 1974 and/or a lot of the recent Apple Cups. Read on. • After what happened in New Orleans a couple weeks ago, is anyone surprised there wasn’t any pass interference called yesterday? Call one, and everyone south of the Mason-Dixon Line yells, “if that’s PI, then why wasn’t …” And they would have had a point. So the officials let the defensive backs get away with murder as the ball was on its way. One long Jared Goff pass comes to mind, underthrown as usual, but an obvious pass interference that would have given the Rams their longest play of the day – and their best chance to score a touchdown. But it was not called. Neither were a few on the other side. It was a throwback to 40 years ago, when passing offenses were all about winning individual battles, not running free in the secondary. You know, like Julian Edelman does. 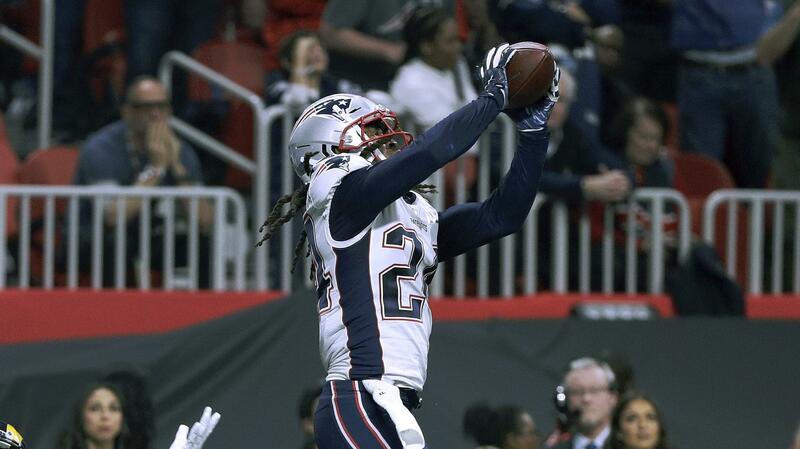 The ability to be physical as (or before) the ball arrived helped both secondaries, but the Patriots probably would have adjusted quickly if the game were called differently. After all, they adjusted to what ever the Rams did. That's a big reason why they won the 13-3 slugfest. Los Angeles’ Sean McVay is called an offensive genius by some and anyone who talked with him in the past year or so is now a head coach in the league, but the performance of the Rams’ offense Sunday must have given at least a couple GMs buy-in remorse. We’re looking at you Green Bay. Anyhow, Bill Belichick’s defensive game plan reminded me a lot of the Huskies’ the past few years in the Apple Cup. Get pressure with four and take away any easy throws. Force the Rams to beat you deep. It worked. Goff never looked comfortable. He rarely, if ever, got into a rhythm. Or set. The clinching interception was an underthrown ball keyed by his back foot slipping just a bit as he threw. Experience in games like this matter. It brings a calmness Tom Brady projected all game, even when things were going poorly. He never seemed rushed, even when he was. That couldn’t be said of his counterpart. • As bad as the game was, the commercials were equally as boring. Is humor too hard to create for Madison Avenue these days? Where is Don Draper’s crew when you need it? Or there was an occasional laugh – like when a cashew came flying out – but explaining the ingredients of beer or telling a child robot the facts of (work) life isn’t a real belly buster. But most of the commercials, as it has been for years and years, were no better than the ones we are subjected to on a daily basis. They seem to be a waste of $5.2 million per half-minute, though the number of folks dissing on your message still may make it worthwhile. Gonzaga: Jim Meehan took some time yesterday morning to look back at the win over San Diego. A big week looms for the Zags in their pursuit of a No. 1 seed. … Around the WCC, neither of BYU’s stars had a good weekend, but the Cougars are counting it as a positive they were still able to earn a split. WSU: The second football signing day is Wednesday. The Cougars have a few open scholarships. One will go to a defensive end that committed Sunday. Theo Lawson has the story. … The women’s basketball team lost to USC. … Elsewhere in the Pac-12, there was a game yesterday. Stanford handed California a school-record-tying 10th consecutive defeat. … Utah lost twice over the weekend and the rest of the schedule isn’t easy. … Washington may be without Noah Dickerson this week. … The Huskies are going to be ranked, aren't they? … Irv Brown, a longtime basketball official, among other roles, died Sunday. … In football, Oregon had the best recruiting year in the conference. Seahawks: We went to the bigger newspapers in the nation today for our Super Bowl coverage above, but there was a report about Russell Wilson and the Hawks yesterday. Bob Condotta gives it some context. Published: Feb. 4, 2019, 8:25 a.m.